Season 9, Episode 11 of Gogglebox was broadcast by Ten on Thursday 18 April 2019 at 23:11. Gogglebox Australia is the Australian version of the hugely popular British television show with the same name. Sometimes referred to as a fly-on-the-wall show, the concept of the show, simply put, is "watching people watch TV". Every week cameras are installed in the homes of ten normal Australian households and the viewers can watch the reactions of the participants as they watch sports games, movies or whatever else is on TV. ‎Gogglebox quietly but steadily gained a loyal following in Australia. What's more, some of the participants, like gay couple Tom and Wayne or housemates Angie and Yvie who live together with a bunch of dogs, have slowly become household names. The show is produced by Shine Australia (which is co-production between Network Ten, The Lifestyle Channel and subscription television channel STV) and it airs on The Lifestyle Channel before it's broadcast on Ten the next day. This makes it easier for viewers to keep track of the series, and in combination with TVCatchUpAustralia.com you can be sure that you will never miss an episode of Gogglebox Australia again. 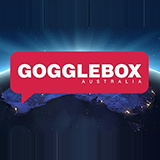 It didn't take long for the Gogglebox-concept to make an impact on Australian television audiences, something that is illustrated by the back-to-back Logie Awards for Best Factual Program won by the show in 2016 and 2017. That is also why so many people around the world are thankful for TVCatchUpAustralia.com, because they never need to miss an episode of the show again. Each episode of Gogglebox Australia features a different Australian household and different viewers, which adds greatly to the show's continuing appeal. One day you're watching TV with two Sydney housemates and their pack of dogs, another day you're enjoying television time with an ordinary Melbourne family, and yet another day with three generations of women within the same family. Thanks to TVCatchUpAustralia.com you will never have to miss out on a new household again, and what's more, you can re-watch older episodes of Gogglebox Australia as well. 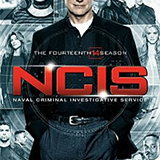 As a further proof of the program's success its run STV and FTA was extended by one year at the end of 2016, marking the OK for the series' fifth season in total. If you've just recently started getting into Gogglebox Australia then TVCatchUpAustralia.com is the perfect place for you, because here you can also go back in time and watch episodes from earlier seasons, in case you missed them. Use TVCatchUpAustralia.com to stay up-to-date with your favourite TV shows and never miss an episode of Gogglebox Australia again. All you need to do is visit the website, type the name of the show in the simple search engine and you will find what you're looking for in a matter of seconds. 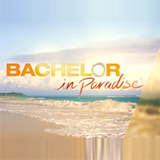 No more worrying about working late or dinner dates, just watch the show when you have time and when you feel like it, whether you're in Australia or not.